Someone gave me this supplement because they weren’t going to use it so I figured I would see what all the fuss was about it. 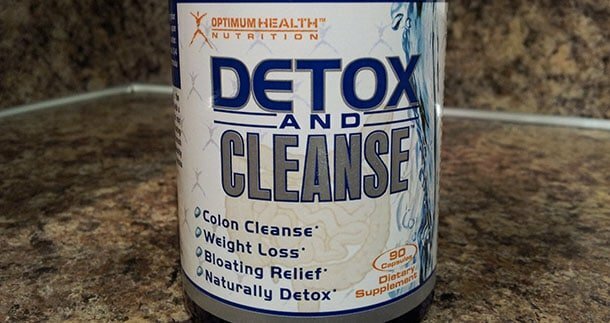 Optimum Health makes this detox and cleanse that is supposed to help you lose weight and clean your colon and help treat your whole GI tract. Basically this is like a colon cleaner with a body detox all in one. I’m not going to lie it’s not bad. Price: $44.99 for 90 caps. I can’t really find many places that sell it, if you go to Optimum Health’s site they sell it here. Pregnant or nursing mothers and those on medication should consult with their doctor or health professional before using. Do not take with abdominal pain, vomiting or nausea are present; or if you have had recent intestinal surgery, gastric bypass surgery or any history of intestinal obstruction, without the supervision and direction of a doctor or licensed health care professional. Failure to have a bowel movement or rectal bleeding may indicate a serious condition, discontinue and consult your doctor or health care professional. This product isn’t bad, it seemed to give me the shits and I’m pretty sure it did it’s job. It’s not a miracle weight loss formula and you shouldn’t be taking this just to simply try to lose weight. This is great to help detox your body from a crap diet and I would recommend this or a similar product just for general health. Detoxing the body is healthy and I highly recommend doing it. Overall I give this product a 4/5. The product was good, I’ve never taken another supplement like this to compare it to, but it seemed to work. I’m not sure I would buy it unless I needed to detox or I had planned on a detox. Disclaimer: Supplements are made to help supplement your lifestyle. If you do not have a decent diet and workout routine already in place, this is not going to be a miracle weight loss formula. you can get this at wholesale nutrition for 17.99.+tax. definitely works. Does this product turn your pee an orangey color? Similar to when you pee when dehydrated, there will be a higher toxin level in your urine. You may want to ask your doctor just in case, but mine has looked close to that color. How about appetite, does it suppress your appetite ? I did not notice a significant appetite suppressant. I would lean more towards no – but when you get to detoxing, it will make a difference.